Get a Windows 7 SP1 installation media. 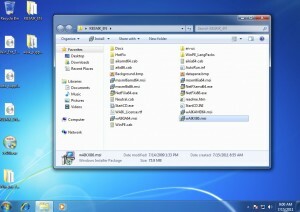 For this article I’ll be using a Windows 7 SP1 Enterprise 32 bit version of Windows. 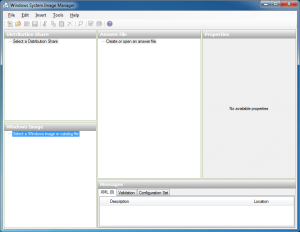 7zip – used to extract files from the iso images. 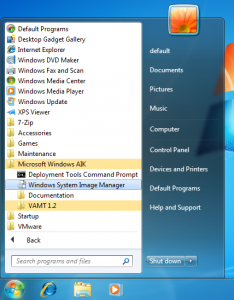 Install Windows 7 using default settings. We will customize this install. I’m using a virtual machine running in VMware Fusion so I can snapshot the progress. All Programs needed for Sysprep. 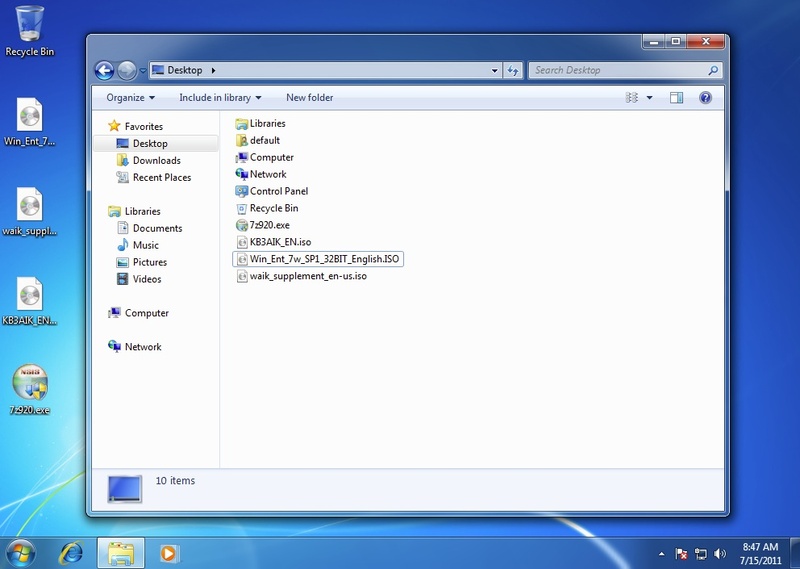 Extract the contents of the isos to the desktop using: Right click -> 7zip –> Extract to “foldername”. You should now have three folders on your desktop with the contents of the three isos. 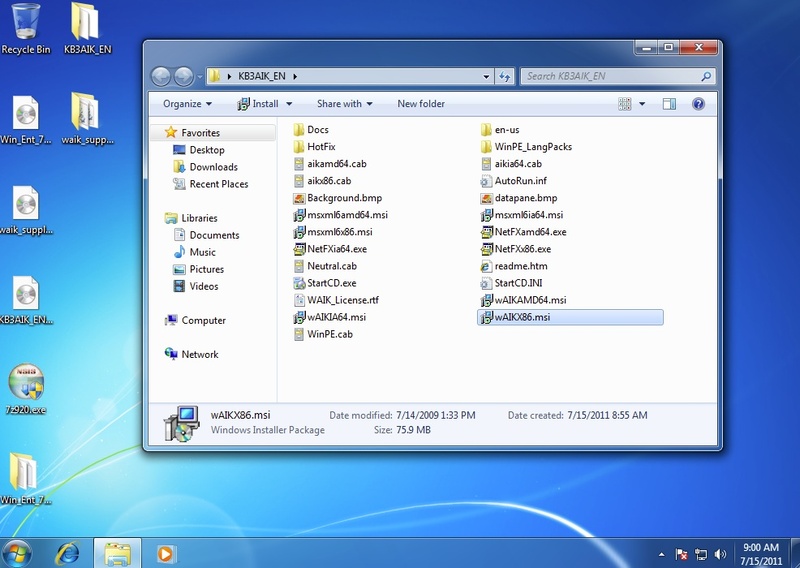 This will walk through loading a windows image (in this case the image is the install DVD) into the System Image Manager. The program will launch and show you a screen with a bunch of blank panes. In the bottom left pane titled Windows Image, right click and select “New Image”. 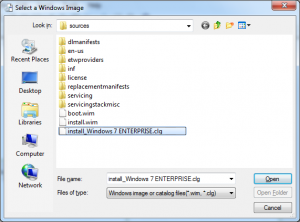 Brows to the location where you extracted windows 7 iso (Desktop), and brows to the sources folder and choose the cataloge file (.clg extension) “install_Windows 7 Enterprise.clg”. 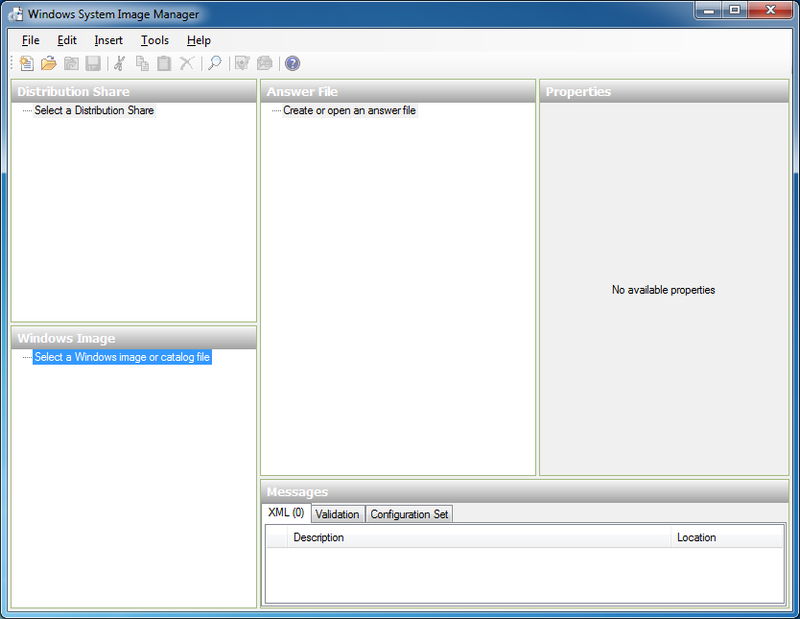 Now we have the Windows image Loaded into the image manager. The next step will walk through creating an answer file. In another VM instance start a vanilla 7 installation. When you arrive at the welcome screen where it asks you to create a username, hit CTRL+SHIFT+F3, this will reboot your machine and put you in “audit” mode.